In the changing scenario of garments manufacturing in Bangladesh, Glory Fashions Ltd. has emerged as a “Buyer’s Choice” for production of quality garments; within a short period of its inspection. It has a dedicated team of well experienced professionals in the field of Management. Executive & total Work Force. We dearly pursue perfection in our work; and only through this mission in mind, thrive to achieve the motto “Quality delivered on Time”. The devotion & sincerity of our workers, combined with their skills is the driving force for Glory Fashions to grow and reach to newer heights. A total team spirit and a closely harmonious environment in the working place is our prime aspiration. We work together & closely monitor each step to meet varied demands or our clients. We welcome new challenges and designs in our endeavor and assure to accomplish our task to the utmost satisfaction of our valued buyers. Supported Bank: National Credit And Commercial Bank Ltd.
Foreign Exchange Branch, Mottijheel C/A Dhaka, Bangladesh. 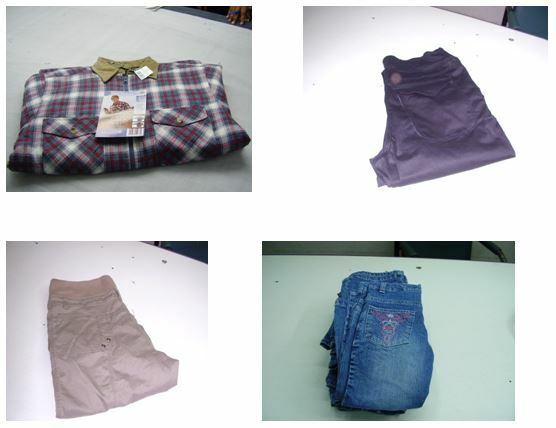 Main Products and Product Capacity of Glory Fashion. Buyer’s complete satisfaction is our prime motto. Prompt & Efficient fulfillment of shipment target. Completely free from Child and Forced Labor. Highly skilled Labor force involved to maintain export quality standard & flawless performance. Regular inspection and efficient management methods followed to ensure quality products. sample with technical design available on request. ¨ Lack of information about overseas markets. ¨ Lack of proper financing. Lack of information about overseas markets. Who (customers) will buy the product? Which company will buy the product? What would be the price of the product? Buyer gives order to exporter. Manufacturer needs advance of payment. ÖBank may provide the loan or not? Ready made garments (RMG) occupy about 75% of total Bangladesh exports. It is thus the main driving force behind all economic and financial planning / developing of the country. A mere hindrance in this sector directly affects the very root of socio-economic structure of Bangladesh. a) Marketing & negotiation with Buyers. b) Merchandising and procurement of materials. a) Marketing & negotiation – It is done by a team of experts who contact the buyer, asses their requirements and procures the orders suitable for the factory. They negotiate & finalize the price if the product basing on its style, quality, quantity and delivery time. the order may be on FOB or CM as negotiated. Thereafter, they ask for L\C from buyer accordingly. this Letter of Credit (L\C) is known as Master L\C and it may be recd directly from a buyer or through any buying house representing the buyer. b) Merchandising & procurement – based on buyers specification, Merchandisers workout the total need for fabrics & accessories for the order. they also classify which items to be imported from abroad and which to be met from a local sources. depending on same, sample is made, Performa Invoice is recd from fabrics\accessories suppliers and then commercial section ask our bank to opened up to 75% limit of the original master l\c amount as recd from buyer. 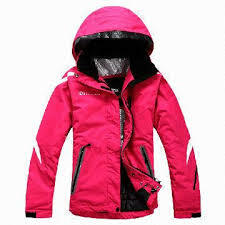 c) Manufacturing of goods – On receipt of fabrics and accessories, samples and styles are approved from buyer on actual materials and then go for bulk production. Keeping in view the delivery time and production capacity, required lines (Machines) are employed for regular production. During production, at every stages, the products are processed through strict quality control system. With a through finishing method, products are made ready in carton for final inspection of the buyer before delivery. d) Inspection & Shipment – On completion of finishing, the ready products are inspected by inspection team of buyer. All products need to pass this inspection. If failed, a complete re-check is ordered. When passed, a certificate of inspection is given by the team which is binding for shipment of goods. Then goods are sent to port and handed over to the nominated shipping line for dispatch to the buyer. Garments being the most important foreign currency earning sector for the country, is also a most risky business for it’s entrepreneurs. The manufacturers take 100% risk on the L/C recd when they get advantages of only about 20% of it. Due to non-availability of basic materials like fabrics and accessory. In our country, we have to rely mostly on foreign imports for the same. This hugely costs on value and lead time. Factories depends fully on outside elements like the accurate and timely supply of fabrics, accessories, printing, embroidery, wash, carton, inspection, banking support and transportation. For effective and timely production, attendance and performance of factory workers are of paramount importance. Functioning at port for smooth handling of import of materials and export of finished goods are of prime importance. Any single lapse from any of above, make the whole order at risk and that too on the shoulder of the manufacturers. The external sector of Bangladesh economy was strengthened considerably during 1990-91 and 1994-95. During this period exports increased by an average of 14%. In 1994-95, export registered a phenomenal growth rate of 37.04%. At this time the Govt. redirected trade policy towards a competitive export-oriented economy by liberalizing the trade regime. Taka was made convertible. Trade facilitation was made the centre piece of the reform agenda. Foreign exchange resources rose steadily from 3 to 7.9 months of imports. There was a significant shift from the erstwhile jute centric exports to a RMG centric one, with consequent dominance of the non-traditional, manufactured commodities as against traditional and primary commodities. The structural shift in the export sector was underwritten by the growth in the RMG exports. Leather, raw jute and jute goods, frozen food and shrimp are the other major commodities comprising the export bundle of Bangladesh. In recent years, almost 90% of the incremental export earnings have come from the RMG sector. Concentration of export market is also quite visible, with EU and USA accounting for almost 80% of Bangladesh’s total exports. Fiscal and financial incentives and strengthening of institutional support services contributed importantly to the removal of anti-exports bias and provided a conducive environment for the growth of export-oriented industries. Bangladesh’s external sector was under considerable strain in 1998-99. Export growth decelerated to 2.9%, lowest for the 1990s. The devastating flood of 1998 and a slump in the price of Bangladeshi commodities in the global market contributed to this deceleration. It is a matter of some concern that growth rate registered in 1999-2000, though higher compared to previous year, has failed to catch up with the trend growth rate. In FY2000 exports registered a growth rate of only 8.3% compared to previous years. It is to be noted that RMG registered a growth rate of only 3.3% in FY2000. Higher growth rates in leather, frozen food and chemical products provided some relief. A positive development in the structure of export growth which has important policy implications relates to performance of the export oriented knit-RMG sector which was able to demonstrate robust growth performance over the recent years. Between 1994-1995 and FY2000, the share of knit-RMG in total exports has gone up from 11.3% to 22.6% which is almost a doubling of the share over a period of 5 years. By any reckoning, this is a remarkable performance. Since woven RMG still contributes more than half of gross exports, the deceleration in the growth rate of the sector in recent years needs to be carefully investigated. BGMEA has recently indicated that export order for RMG has sharply declined. In recent years an increasing share in the incremental growth is originating from changes in the volume index as compared to that of the price index. This trend is a cause for major concern. This would imply that the weak growth rate of prices of our principal exports in the international markets has to be increasingly compensated for by an ever increasing volume of exports. The price trend reflects deterioration in Bangladesh’s terms of trade. Decomposition of export growth is an important exercise which needs to be regularly carried out to enable policy makers to monitor the changing dynamics of Bangladesh’s external sector. It will appear from the above table that growth rate of exports was highest in 1994-95. Growth rates declined considerably thereafter although absolute quantity of exports was increasing. The above table shows that exports of Jute goods and tea are declining. There is fluctuation in the export of leather. Knit RMG has shown faster growth. Chemical product exports are maintaining the existing level. Growth in the export of frozen food is quite satisfactory. Constraints faced by exporters in Bangladesh are multifarious. Their nature, origin and consequences are different. Some of the constraints may overlap with one another. Although in recent years Bangladesh’s exports sector has registered commendable success, it had not been able to utilize its full potential because of serious lacunae in many areas. An analysis of the problem will enable us to understand the difficulties from different dimensions. 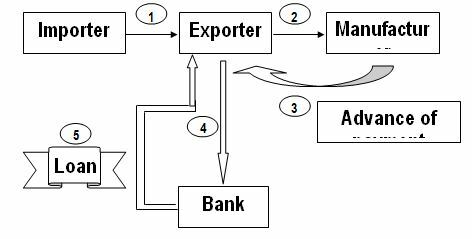 Lack of adequate export finance is identified as a major constraint. Small and medium exporters are found to be more severely affected by this constraint. Most of the exporters are facing the problem of obtaining export finance. High rate of interest on bank capital is also a constraint. Exporters are of the opinion that rate of interest is higher in Bangladesh as compared to other countries with whom Bangladesh is competing. Infrastructural constraint is perhaps the single most important bottleneck to expansion of export and investment augmenting activities in Bangladesh. Problems continue to remain in spite of the Govt. effort to streamline a number of stumbling blocks. Inadequate telecommunication is a major impediment. Transport and freight constitute yet other major bottlenecks. Congestion is common in Chittagong and Mongla ports due to shortage of equipment, inadequate containerization at the ports and lack of transport facilities for the containers. There is only one container depot in Dhaka. Inadequate functioning of infrastructure may adversely affect enterprises in many ways. It hampers production activities, delays movements of goods and passengers leading to delay in the delivery of goods. It adds to business uncertainty and risk and imposes additional costs. This cost has come to be even more unbearable as profit margins are being squeezed as a result of liberalization. Delays in delivery may result in the cancellation of the contract and the loss of markets forever. Electric power is a leading infrastructure constraint. Load shedding/power failure is a common feature. Power break down is experienced several times a day. Efficient infrastructure is the pre-condition for good export performance of enterprises. Exporters are of the opinion that Govt. rules and regulations pertaining to exports are complicated and too much paper work is needed. Considerable amount of Senior Management’s valuable time is spent with Govt. officials over interpretations and changes in laws and regulations. Firms engaged in export business have to appoint officers for sorting out matters with the Govt. and agencies. Since small and medium size firms are more affected by complications of law and regulations, they are found to be more critical about Govt. services. Senior management has to spend a sizeable amount of time with banks. Formalities for getting bank loans are time-consuming. Banks are highly centralized. Ability of local managers is limited. Local offices have to wait upto 6 months for a decision from the head office. Exporters are required to pay extra money at every stage of loan approval. Customs services has been mentioned as the third greatest problem. Delays and corruption are the two most important forms of worsening customs service. Most of the exporters are required to pay extra money to the customs officials for getting their export consignment checked. Payment is also to be made to port officials, power personnel, telephone service and airport personnel. Bribe is also required to be paid to other service personnel. A fundamental problem of export diversification is the lack of adequate investment in the country. Bangladesh has been following a private sector led growth strategy since 1980s. Public sector investment has come down but private sector investment is yet to pick up and this has led to low level of capital formation in recent years. Inflow of foreign capital was sluggish. The reason that Bangladesh has so far not been able to attract foreign investment in any substantial measure is not because of lack of incentives offered by the country. A comprehensive investment package that includes fiscal, financial and institutional support, a guarantee by the govt. not to nationalize foreign enterprises, generous scope of repatriation of profits and other earnings have been designed and put in place. The Board of Investment has explicit mandate to deal with investment proposals expeditiously. In case of investment in EPZs, the investor is offered customised buildings and on-line utilities. However, potential investors, while appreciating many of the advantages that Bangladesh offers, have complained about bureaucratic and administrative hassle, political instability, low quality of transport and utility services etc which have discouraged them to invest in Bangladesh. Lack of foreign investment is halting diversification in Bangladesh economy. Absence of skilled manpower is felt in sectors like RMG, leather, electronics, data entry, information technology, etc. Although the country has abundant supply of cheap labour, there is a tremendous dearth of skilled labour. Technical and vocational institutions need to be strengthened. Lack of skilled manpower has resulted in under exploitation of potential export of services through manpower export mainly to Middle Eastern countries where Bangladeshi workers cater to only unskilled and semi-skilled needs. Training facilities for skill development in quality control for electronics and design and fashion for RMG would greatly stimulate movement up the value scale. A concerted policy in such areas as technology assessment, technology acquisition, adoption, adaptation and development and technology diffusion is still lacking. Such a policy would require an effective interaction among research organizations, entrepreneurs and policy makers. Although much has been said about appropriate technology, a mechanism to encourage a balanced mix of modern, intermediate and simple technologies is yet to be developed. Most of the enterprises in Bangladesh have neither the inhouse capacity to gather necessary trade information nor the networking facility to access information. The endeavour of the Export Promotion Bureau (EPB) to provide the entrepreneurs with business information and market intelligence is quite commendable. It has assisted exporters by offering training facilities, organizing trade fairs and furnishing required information. It has made a contribution in export – friendly policies which has helped particularly the small and medium enterprises. But these promotional activities can not match the increasing demand of the entrepreneurs. EPB’s capacity is limited because of lack of resources to build up the required facilities, to procure training equipment, trade related publications, etc. Bangladesh has 62 chambers and 156 trade associations . The chambers and trade bodies also lack capacity to provide adequate management skill, training in trade laws, procedures, documentation and in giving assistance to their membership in accessing relevant information on export markets, import sourcing, indenting and investment. Information is a very cost intensive business and businessmen are constantly in need of business information. Market access issues are becoming increasingly complex and diversified. While Bangladesh will continue to endeavour for better market access, the major market access problems relate to (i) non- tariff and para tariff barriers (ii) stringent quality and standard requirements (iii) stringent rules of origin (iv) labour and (v) environmental standard. Bangladesh is facing market access problems in USA (quota, labour standard, quality requirement like HACCP for frozen food, eco-labelling in case of RMG) as well as in EU (rules of origin, quality and standard requirement, eco-labelling). Similar problems are being faced in Japan, Australia and New Zealand. Bangladesh is also facing non-tariff barriers in the Indian Market. Enterprises need support in solving market access problems. Market access is the life line of international trade. Bangladesh’s access to EU market was jeopardised on ecological /environmental requirements. EU has very stringent rules in terms of quality of imported frozen food. Exports of shrimp and frozen food came under sanctions imposed by EU because of non -compliance with EU hygienic and environmental standards. EU has also strict eco-labelling requirements for woven and knitted garments. However, these problems have been resolved to a great extent by adopting guidelines. Developed countries are expected to use new tools of protectionism. Bangladesh will have to watch the developments in this regard and try to face the situation. This will be a continuous process. The role of govt. in promoting export is crucial. Various govt. agencies like EPB, Board of Investment and Bangladesh missions abroad are providing some services to exporters. But there is delay in getting services and service delivery is poor. Bangladesh missions abroad should play an important role in promoting export. It is alleged that exporters receive very little assistance or no assistance from our missions in foreign countries. Exporters complain about corruption in receiving assistance from agencies. Inadequate response from public infrastructure services and toll collection are hampering export performance. As per Uruguay Round Agreements, WTO is required to assist the LDCs including Bangladesh to diversify products and improve quality. But in fact we have not received this kind of assistance from WTO or other donors. Bangladesh is currently facing trade restrictions in a number of countries. Major importing countries should apply their rules in a flexible and supportive manner as agreed in the Uruguay Round Agreements. They must open their markets to our products liberally. They are also blocking export of manpower from Bangladesh. We are trying to achieve growth through trade. The major players have a responsibility in this regard. Human rights issues and environmental requirements are creating problems for our export. Compliance with WTO agreements is a tough job. Our exporters are encountering the problem of market intelligence. Another major external constraint faced by the exporters is the access of firms to marketing/distribution channels or network. Exporters are not happy about the performance of our missions abroad. Bangladesh’s export of RMG came under threat of sanction because of the child labour issue. But the conflict has now been resolved. Frozen food export was affected by standard requirement of EU. The provision of special and differential treatment for LDCs has not been implemented by the rich countries. A high powered committee is currently reviewing cash subsidy on exports. The trade associations specially in the textile sector claimed that according to cash incentive policy, the total amount payable to the exporters was 8 billion taka. Govt. has so far released two billion taka. Trade associations have demanded immediate release of an additional amount of 2.18 billion taka which was overdue. Twenty-five per cent cash incentive is provided to boost exports in the textile sector. Entrepreneurs in other sectors have been demanding incentives to the same extent to boost export of their products. There is demand for waiving of VAT. According to a source in the Finance Ministry, the Govt. had released a total of 11.75 billion taka cash incentives in the textile sector in four years. (2) Jute goods (including jute braid, Jute sole, jute expadrill shoe (for both public and private sector). (3) Patch work quilt, fresh and artificial flowers. Subsidy policy of the Govt. should be made transparent. Clear cut principles of subsidy should be laid down. Some of the items under crash programme may be granted subsidy in order to encourage export of such items. Luggage goods may be cited as an example. 4. Anti-Dumping and countervailing duty measures. A product will be considered as dumped if the export price of the product is less than the comparable price of the like product in the exporting country. Because of substantial liberalization, domestic products are facing serious competition from imported products. There is unconfirmed report that, among others, ceramic, glass, bicycle, medicine, toiletries, dry cell battery, detergent, textile and electrical products are being subsidized/dumped by other countries. This may provide a clue to investigate a particular case. Preliminary investigation may be carried out in the case of products mentioned above. There are two aspects of countervailing duty. One is to see if subsidized goods are imported into the country. In that case countervailing duty can be imposed. Secondly, Bangladesh also provides subsidy to some of our exports. Therefore, we should find out if other countries are imposing countervailing duty on our products and find out the justification for such duty. Market intelligence reports are very important for adopting anti-dumping and countervailing measures. It may be mentioned that smuggled goods are outside the scope of anti-dumping’ and countervailing measures. Brazil has imposed anti dumping duty on jute products of Bangladesh. Govt. was trying to get the duty lifted but it was not possible to do so. The matter was referred to our Geneva Mission with the request to take it up with the WTO. Before taking it up, the Geneva mission requested for certain information from the Ministry of Jute. But no satisfactory reply was received. Therefore, the Geneva mission could not take it up with the WTO. The Geneva mission informally consulted the Permanent Mission of Brazil. The Brazilian mission agreed to look into the matter but we could not make out a case. The matter ended there. Bangladesh was subjected to anti-dumping duty by US, Brazil, and India. But unfortunately we have not been able to investigate any case to find out dumping. For business persons, knowledge of the complete rules on the levy of anti-dumping and countervailing duties are essential in their capacities as exporters and producers whose interest may be affected by the unfair price practices of producers in other countries. The affected exporters have the right to petition the national investigation authorities for the levy of anti-dumping duties if the imports are being dumped and for the levy of countervailing duty if the imports are being subsidized. Market access is the most important issue for the trade negotiators. The whole WTO mechanism is meant for streamlining market access. All countries big or small are continuously looking for better market access in other countries. Market access is to be obtained through negotiation. No country is prepared to allow the import of products from other countries if it can afford to do so. Tariff and non tariff barriers obstruct market access. Market access disputes are ultimately referred to WTO Dispute Settlement mechanism. Bangladesh is facing market access problems in a number of countries. Trade officials should be familiar with market access issues and try to resolve them through negotiation. Dedicated and experienced officials are needed to deal with market access problems. Countries retain the right to take sanitary and phytosanitary measures for the protection of human, animal and plant life. Such measures should be applied in a transparent manner only to the extent necessary to achieve their objective and be consistent with recognized and equivalent scientific evidence. These measures shall not be applied in such a way as to create arbitrary, disguised or unjustifiable barriers to international trade. It is provided that sanitary and phytosanitary measures should be harmonised on the basis of international standards, guidelines and recommendations. It is necessary that a country should be fully aware of such standards and guidelines and should have the machinery to implement them. Bangladesh does not appear to have an appropriate mechanism for applying sanitary and phytosanitary measures. Technical barriers to trade refer to application of technical standards. Such standards should not create greater obstacles to the importation of products from other countries than they would pose to trade in domestically produced products on the home markets. These measures should be based on international standards. The new trading system created by the WTO calls for greater use of science as the main basis for food safety and technical measures so that arbitrary measures are not used as non-tariff barriers to trade. It is necessary that both the Govt. and industry should be aware of such barriers and standards. Export performance of the SAARC countries varied between 6.6% and 19.8% in the year 2000. Sri Lanka registered the highest growth rate of 19.8% despite the on going guerilla war in the country. All these countries adopted various incentives and support for boosting export. The bulk of SAARC countries export is directed to industrialized countries. Intra-SAARC trade is only around 4%. Persistence of trade deficits in some countries vis-a-vis a large country is generally construed as benefiting only the large country. It is often noticed that SAARC countries are quite often unaware of both the benefits of cooperation as well as the costs associated with non cooperation. There should be a shift of emphasis from mere trade cooperation to cooperation in areas of investment and technology. Efficient and competitive production structures in member countries need to be established. Production cartels may be created within the region. Trade liberalization under SAPTA has made good progress. SAARC leaders have made a commitment for setting up free trade area (SAFTA). In order to operationalise SAFTA specific policy initiatives would be required. The issue of trade imbalance between SAARC member countries has emerged as a major impediment to further trade expansion. There still exists scope for trade expansion if policy and business decisions are properly designed. One important way of regional cooperation is by integrating the production processes vertically. For this purpose, evolving production agreements on regional basis in specific sector would be essential. Several sectors appear to be suitable for production integration schemes such as textiles, clothing, leather, rubber and electronics. Trade flows are often a corollary of investment flows. Trade investment nexus is of crucial policy importance in the SAARC region particularly because production and export capacities of many members are limited. Therefore, trade creating joint ventures assume special significance. SAARC counties must aim at minimizing the cost of non-cooperation. Product and export diversification efforts will certainly increase intra-SAARC trade. Member countries must have the will to trade among themselves. At present SAARC activities are at a low key because of postponement of the Summit for political reasons. Trade liberalisation under SAPTA has been making steady progress. As a result of different rounds of negotiations among the SAARC countries, more than 2000 products have already been covered for trade concessions. A target has been set for achieving a free trade area in the SAARC region by the year 2001. This is indicative of the commitment and willingness to intensify trade cooperation process adopting a faster track approach. Because of stalemate in holding the SAARC Summit, SAFTA can not be achieved by the end of this year. However, in order to operationalise SAFTA specific policy initiatives would be required. Tariff cuts under SAPTA have not yet been fully implemented and as a result intra-SAARC trade has not yet shown any improvement. The issue of trade imbalance between SAARC countries has emerged a major impediment to further trade expansion within SAARC. Lower imports from smaller countries has created a real problem. Smaller countries feel that the largest partner India must buy more from the small neighbours specially Bangladesh. The existing rules of origin system under SAPTA regime is being viewed as one of the major factors responsible for hampering trade flows within the region. EU has permitted an important derogation of the rules of origin by granting regional cumulation to regional associations (like SAARC) of developing countries. This allows the members of a regional group to claim GSP from EU when they use inputs sourced from other member countries of the same group. Under regional cumulation Bangladesh will get duty exemption on export to the EU. provided local value addition is at least 51%. Therefore, local fabric manufacturers should not worry too much about regional cumulation. We have to consider that regional cumulation is not only available for RMG sector but it is also applicable to other products. BGMEA is of the view that if we reject the regional cumulation rule, we may lose market access. Because of regional cumulation local manufacturers may remain under pressure and refrain from monopolistic behaviour. It is argued that many exporters may circumvent the cumulation rules by under invoicing imported fabric cost and overstating the domestic value addition. In such a situation, we may have to apply anti-dumping measures. BGMEA leaders hailed the cumulation rules and said that it will create an added opportunity. BTMA warned that this would adversely affect the textile and fabric sector. It is provided in the WTO agreement that in view of the special needs and requirements of least developed country members, their economic, financial and administrative constraints and their need for flexibility to create a viable technological base, such members are not required to apply the provisions of the TRIPS agreements for a period of 10 years. The Council for TRIPS shall, upon duly motivated request by an LDC, accord extension of this period. But there is no concerted effort by the developed countries for transfer of technology to the poor countries. The countries are left to themselves. These countries are unable to acquire technology without the help of the advanced countries. After hard work, Bangladesh prepared proposal for trade related technical assistance to be funded under the Integrated Frame Work which was endorsed by six multilateral agencies such as IMF, ITC, UNCTAD, UNDP, World Bank & WTO. The Integrated Frame Work was adopted by the High Level meeting in Geneva. Under this programme, Bangladesh sought to enhance her competitive strength by raising her domestic capacity to respond to the challenges and to avail of the opportunities emerging in the global market. Bangladesh programme essentially addressed two areas; the first one was concerned with concrete measures to promote export diversification; the second one was related to capacity building for improved governance in trade related areas. The programme contained project profiles on trade-related technical assistance but there was no commitment for these projects from the donors. Bangladesh received technical assistance for holding seminars and workshops only. No assistance was received for any substantial programme. WTO agreement has mentioned about technical assistance in many places of the text but such assistance has never been received. Promises of the developed countries as contained in the WTO agreement have never been materialised. Moreover, foreign aid as a whole is declining and so also is technical assistance. Promise of technical assistance in the WTO agreement is merely a consolation for the LDC’s. This position was predicted at the time of Uruguay Round Negotiation. Major players compelled the poor countries to agree to Uruguay Round agreement in exchange for technical assistance from the rich countries. Govt. has also formulated strategies for implementation of the objectives of export policy. Export procedures will be simplified. Private sector’s role will be expanded. Local raw materials will be used to the maximum extent possible. Jute products have to be diversified. Programmes will be undertaken for raising productivity, quality and standard. Necessary assistance will be provided for development of new products. Production of environment friendly products will be ensured. Development of skilled manpower will be given priority. Bangladesh missions abroad will be more involved in promoting exports. Infrastructural services have to be made available. A National Committee on export at the highest level headed by the Prime Minister has been formed. The Committee will review the export situation and provide necessary direction and resolve problems. Separate commodity councils will be formed for jute, tea, shrimp, ready made garments, leather and leather products. Leather and leather goods industries, high priced and high value added ready made garments, computer software and agro-processing sectors have been identified as ”thrust” sectors in the export policy. In light of the objectives and strategies of the export policy 1997-2002, several new incentives and facilities have been made available to the exporters. Besides, some existing incentives have been modified and improved to make them more workable. The incentives as offered are enumerated in Annex-II. In addition to the incentives mentioned in Annex II, product specific incentives have also been declared. A negative list of items banned for export has also been prepared. The export policy contained targets for five years. So far actual exports are far below the targets except for 1997-98. The incentives given for export are quite comprehensive. But these incentives need to be implemented effectively. Exporters have to take advantage of these incentives. The constraints to export have been discussed above. If such difficulties can be removed over a period of time, exports will definitely show marked improvement and it should be possible to achieve the targets. The export policy was used to be formulated in the past on yearly basis. To maintain continuity in policy as well as support measures, export policy is now made for five years. This has not only rationalized the incentive structure, but also eliminated the uncertainty resulting from frequent policy changes. Private sector has played a very significant role in the development of exports from Bangladesh. Their contribution is more than 90% of total export earnings. Given the appropriate policy and administrative support, the private sector can make much more contribution in enhancing the export earnings of the country by diversifying products, denting new markets, consolidating and expanding the existing markets and by carrying out aggressive sales efforts, thus widening the base of exportable and foreign markets. The gradual implementation of export strategy backed by export policy support appears to have a salutary effect on the growth of export. Despite many adverse circumstances in the world trading conditions, Bangladesh’s export performance over the years has been quite impressive. The momentum in the export sector must be consolidated. More intense and specialized efforts are needed in the fields of product development, diversification, market promotion and market expansion. FBCCI submitted recommendations to the Caretaker Govt. in respect of the textile sector. They have mentioned that smuggling fabric and cloth have created negative impact in the textile sector. This realisation has come very late. Smuggling is not only affecting the textile sector, it is damaging all sectors of Bangladesh economy. It is surprising that in spite of the havoc created by smuggling, there is no movement against this. Govt. must take measures to stop this menace. If we can’t control smuggling, neither our manufacturing nor our export can make progress. The lack lustre growth in industries sector has been largely caused by smuggling. In Bangladesh the export base has continued to remain narrow. Lack of diversification of exports has led to a situation where the fortune of Bangladesh’s export sectors has become dependent on RMG sector. As quotas will disappear by the end of 2004, a process of restructuring of the RMG market is expected to evolve. The recent slow-down in the growth of RMG should serve as a wakeup call. Under quota free regime, China, India, Pakistan, Turkey and Egypt will be penetrating Bangladesh’s traditional markets. The rising importance of knit -RMG needs to be given special attention. A comprehensive strategy to stimulate backward linkage activities ought to be designed and implemented on an urgent basis. We have to respond to the post MFA challenges facing the apparel sector. There is a need to design a dynamic export strategy and put in place the capacity to realise such a strategy. Strong political commitment and good governance will be needed to pursue a proactive export policy. Labour intensive argo -process based export-oriented activities could potentially be used in the production of shrimp, processed food and jute products. Shrimp culture is still a semi-intensive activity. Exportable jute goods are limited. Based on gas and potentially oil, an export- oriented manufacturing based on petro-chemical industry may emerge. The IT sector could be another lucrative export -oriented sector. Software/data transmission export has a possibility to grow fast. Export of horticulture and primary products are still in their infancy although Bangladesh has comparative advantage in these sectors. Market is available for silk fabric. Cane furniture has good export potential. Vegetables are also in demand in the world markets. Toys, Jewellery, luggage items, diamond cutting and polishing and artificial flower are believed to have high export potential. Govt. is providing support for market development and diversification. Private sector initiative together with policy support from the Govt. have brought about positive result in product development and diversification. In order to boost production and promote export of items under the crash programme, it is mentioned in the export policy that soft term credit will be provided for market development, market adaptation and marketing. Facilities will be provided for import of raw materials and export on consignment basis apart from duty drawback/ bonded warehouse facilities. Assistance will be provided for market exploration and attracting joint ventures. Growth in the newly industrialized economies of Hong Kong, Republic of Korea, Singapore and Taipei accelerated to 8.4 percent in 2000 from 7.9 percent in 1999. Rapid export growth led the expansion. Exports were boosted by robust demand from the US. In 2001, GDP growth is likely to fall back to just over 4 percent for the group. Slower export growth will be the main cause of this resulting from a slow down in domestic consumption and investment. GDP growth in South East Asia improved to 5.1 percent in 2000, from 3.1 percent in 1999 as the economic recovery continued to broaden and deepen. The driving force behind the momentum was robust external demand. Export growth is likely to slow considerably in 2001 in South East Asia (Cambodia, Indonesia, Laos, Malaysia, Myanmar, Philippines, Thailand and Vietnam) due to lower demand for manufactured goods. Exports from the People’s Republic of China surged in 2000 by 27.8 percent. Export growth is forecast to decline to about 10-15 percent in 2001-2002, reflecting a slower global economy. With entry into WTO and the liberalization of trade policies, imports in China will continue to grow faster than exports in the next few years. The transition economies of Central and Eastern Europe in 2000 continued the economic recovery. Output growth was strong (5-6 percent). Strong export performance was mainly responsible for this. Growth in Latin America rebounded strongly to around 4 percent in 2000, from negligible growth in 1999. Mexico and Brazil performed well in 2000. Export growth was very strong in both countries. NAFTA has produced a win – win situation. There was steady growth in trade among the NAFTA countries. Mexico’s export to Canada shot up to 105 percent. Net job creation had been positive in all the three members states. The one lesson Bangladesh could learn from NAFTA was the way in which Mexico had strengthened its position to enter into a trade agreement with the US and Canada. Two largest economies in Africa -Nigeria & South Africa -recorded growth of about 3 percent, the former aided by higher prices of oil export and the latter by greater external demand & growing international competitiveness. The US TDA 2000 provides 72 Sub-Saharan and Caribbean countries duty and quota free access for textile products to US market under certain conditions. The benefits under the Act. was offered from October 01, 2000 and will continue till September 30, 2008. Some Caribbean countries are the competitors of Bangladesh in textile. Bangladesh has to carefully examine the implications of this Act. The US initiative should not have excluded Bangladesh and other Asian LDCs from the purview of this Act. Bangladesh is reportedly trying hard to obtain duty and quota free entry into the US market. The TDA 2000 is not consistent with the WTO. Bangladesh could challenge this Act and make out a case in WTO for getting duty free and quota free access of RMG to US market. BGMEA has appointed a lobbyist firm in USA who would work to attain duty free and quota free access for apparels to the US market. It is absolutely essential for Bangladesh. The new govt. must pursue this matter vigorously. The employment of women by RMG industry has contributed to the dramatic social transformation in Bangladesh. The massive turnout of women voters in the last general election reflects this transformation. We must succeed in our endeavour to get duty free and quota free access of RMG to US market. We should take full advantage of the forthcoming ministerial meeting of the WTO in Qatar to mobilize support for our cause. Export earnings during the first two months (July -August) of the current financial year suffered a serious setback with a 6.3 percent decline compared to the corresponding period of the previous year. The terrorist attack in the US as well as the US – Afghan war have added uncertainty to our already fragile external balance. Demand for our products particularly in the US market has weakened. USA is the largest buyer of Bangladeshi RMG. During the last financial year our RMG export to USA stood at 2.19 billion US dollars. Business circles fear that in the current year RMG export to US market might fall to 600 to 800 million US dollars because of recession aggravated by terrorist attack in USA and the US -Afghan war. There are several factors that tend to contribute to the decrease of apparel exports from Bangladesh. Duty and quota free access of garment export granted to Caribbean and sub-Saharan countries has placed Bangladesh into a disadvantageous position. Crisis in airlines industry will have negative impact on our exports. RMG industry of Bangladesh has became extremely vulnerable. The BGMEA apprehends that if some special measures are not taken immediately to obtain duty free and quota free access to US market for RMG exports from Bangladesh, thousands of people will lose their jobs. Indeed Bangladesh will face an unprecedented economic catastrophe. Apart from the closure of the RMG factories, there will be a severe impact on the backward linkage industries, banks, insurance companies, transport operators and so on. Some of the Asian countries such as Pakistan, India and Indonesia have derived immense economic benefits from their support to the US action against terrorism. Bangladesh has also joined the coalition against terrorism but could not benefit from this. The new govt. should immediately send a high powered delegation to the US for negotiation and lobbying. It is only the US govt. which can assist Bangladesh in the present situation. Domestically govt. may provide a stimulus package for boosting exports particularly RMG. In any case, we may have to contend with a lower level of export earnings. It is estimated that there will be zero growth in world trade this year. (i) Financing facilities for export-oriented industries are to be made available on a priority basis. Lack of adequate finance is one of the major constraints for diversification of export. Small and medium exporters are affected more by this constraint. Therefore, providing financial support is a top priority. (ii) Exiting subsidy for export should be continued. Govt. is reviewing the subsidy structure. There is talk of reducing subsidy in some cases. It is strongly felt that whatever subsidy exists, there is no scope for reducing or abolishing it particularly in the present difficult situation. (iii) An export assistance fund may be created. Govt. is required to provide a stimulus package for the survival of the exporters in the context of global recession. An export assistance fund should be part of the stimulus package. Some measures must be taken for helping the exporters. (iv) Delivery time in shipment has to be cut down particularly for RMG. There were many reports of delay in shipment from Bangladesh. This has added to cost of transportation of our exportable. There is chronic problem in Chittagong Port. Our ports must operate efficiently. (v) Rate of interest for export-oriented industries is to be lowered. Exporters are clamoring for lowering rate of interest for export-oriented industries. Lower interest rates will make our products less expensive for the importers. This will be a positive step for boosting export. (vi) A full fledged WTO cell may be set up in DCCI. WTO cell is absolutely necessary for a dynamic organization like DCCI. DCCI should develop expertise on WTO matters by creating a strong cell for dealing with global trade issues & assisting the govt. on global trade agenda. The cell will be particularly useful for preparing Bangladesh position in the context of the new round of trade negotiations. (vii) Government should come up with a plan to reduce transaction cost such as export cost, telephone charges, cutting peak hour tariff, port charges, etc to boost up export which has been hard hit by the recent global economic recession. (viii) An Advisory Export Development Cell should be established in the Ministry of Commerce with professionally qualified personnel having adequate knowledge on export. (i) Private sector should take full advantage of the incentives offered by the Govt. Government have declared various incentives for export. Our exporters should be familiar with these incentives. These incentives should be utilized for the benefit of the exporters. The incentive structure needs to be fully implemented. (ii) Export diversification must receive high priority. Declaration of priority is not enough. Specific steps should be taken to advance the process of diversification. Both the public and private sector must play their roles in promoting diversification. (iii) Systematic efforts are to be made for removable of constraints to export. There are too many constraints hampering diversification of exports. These constraints have been listed in this paper. Constant endeavor has to be made to remove them. (iv) Preparation should be made to face global competition in the textile sector after 2004. Bangladesh is aware of the possible scenario of textile industry after 2004. There was enough discussion on this issue. But there seems to be no follow-up action. The matter brooks no more delay. (v) Vigorous efforts should be made for expansion and diversification of manpower export. Manpower export is vital for Bangladesh. More training facilities should be organised for upgrading the skill of our workers. New markets for manpower export should be explored. (vi) Govt. may consider to provide subsidy to items under crash progamme. Govt. has declared a number of items under the crash programme. In order to derive benefit from the crash programme, it may be desirable to provide subsidy to some of these items. This will encourage export of new items. (vii) Duty free and quota free exports are to be ensured for all products of export interest to Bangladesh. This facility is vitally important. Some countries have already granted this to Bangladesh. At this point of time, the issue of duty and quota free entry into the US market must be high on our agenda. (viii) Potential investors from outside should be encouraged to invest in export-oriented industries. We must create a climate of attracting investors with special attention on the export- oriented industries FDI will bring capital and better management which will go a long way in enhancing our capability for export. We have to keep on trying to lure the foreign investors to Bangladesh. (ix) Industrial enterprises should develop their own capability for research and development with assistance from the govt. There is serious lack of research and development in the industrial sector. It is necessary to develop this capability in the private sectors. Govt. must provide necessary support in this regard. (x) Investigation should be conducted for imposing anti-dumping measures. There is lot of talk and newspaper report on dumping. Tariff Commission should be activated for conducting investigation for taking anti-dumping action. Tariff Commission should keep all concerned informed about their programme of action in respect of dumping. (xi) A comprehensive strategy to stimulate backward linkage activities in textiles ought to be designed and implemented on an urgent basis. The need for setting up backward linkage has been discussed time and again. Some progress has also been made. Much more remains to be done. Public and private sectors should jointly address this issue. (xii) We must create an enabling environment for success of the export-led growth strategy. Creation of an enabling environment covers a wide range of conditions such as ensuring political stability, improved law and order, hartal free society, less bureaucratic hassle, quick decision making, development of infrastructure and so on. There is no short cut to this process. We hope the new govt. will give priority to improve the overall business and investment climate for promoting sustained growth and development. (xiii) Policy Liberalization, exploring new markets, reducing export cost, improving law and order and taking pragmatic steps to reap benefit from WTO need to be addressed at the earliest. (xiv) Implications, legal steps, anti-dumping, rules of origin of other countries willing to import from Bangladesh arising out of WTO should be thoroughly understood by Bangladesh exporters and the concerned government organizations for unhindered export. (xv) Both the government and the private sector should undertake a joint effort to overcome the present economic crisis through appropriate strategies and its implementation.